A nice little demonstration that corruption is always a threat from both sides of the political aisle. 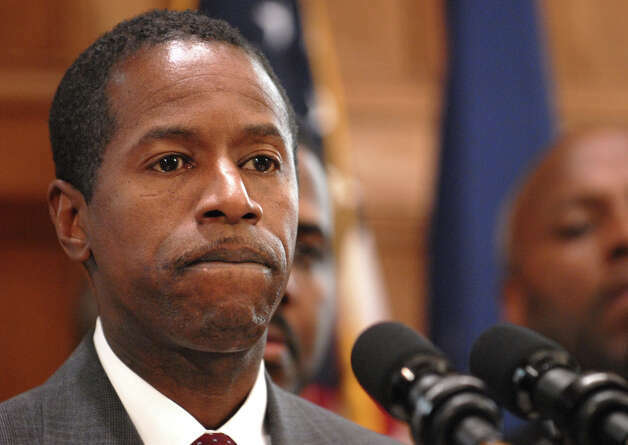 A prominent Democrat State Senator, Malcolm Smith, along with a Republican city councilman and a pair of of GOP operatives were arrested in a massive bribery scheme aimed to get Smith on the Republican mayoral ballot, and rigging the election. Queens Sen. Malcolm Smith was arrested early this morning by federal law enforcement officials, according to multiple news reports, in connection with a scheme to bribe Republican officials into letting him run as a GOP candidate for mayor of New York City. Smith, a Democrat from Jamaica who represents much of southeast Queens, flirted with a mayoral run late last year and even dined with Republican chairman from New York’s five counties. Arrested in the same sweep as Smith were Bronx GOP Chairman Jay Savino, Queens GOP vice chairman Vince Tabone and New York City Councilman Dan Halloran. Smith and Halloran were arrested earlier this morning without incident, an FBI spokesman told the Associated Press. A Smith spokesman did not have an immediate comment; charges against the senator should be revealed in court proceedings later Tuesday. “Elected officials are called public servants because they are supposed to serve the people,” George Venizelos, the assistant director of the FBI’s New York office wrote on Twitter Tuesday morning. Well, that’s a bit of a stretch. No politician in the Empire State should ever be expected to adhere to a higher standard.